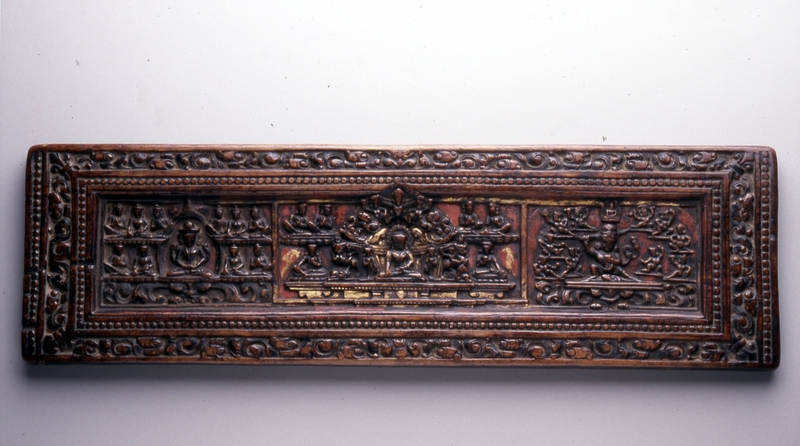 description: The central panel depicts the Buddha Shakyamuni on the night of his enlightenment. On our left is the bodhisattva Avalokiteshvara in his "Six Syllable" form ("Hail jewel lotus! "), the words of a spell come alive. The angry deity on the right is Achala, the immovable. description: This colossal statue of an emperor wears a toga and elaborately decorated shoes that indicate the figure's high status. These details identify it as a type of honorary statue similar to those erected in the Forum of Augustus in Rome for generations, transforming the public space into a kind of imperial "Hall of Fame." 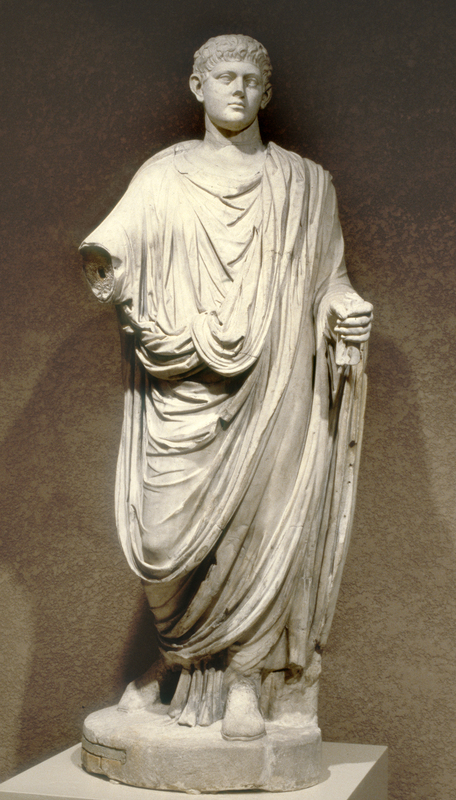 The head, a portrait of Emperor Domitian (reigned AD 81-96), is likely an 18th-century restoration.